A Commack intermediary student was approached after exiting her school bus in the morning. Commack School District is reporting that a student at Sawmill Intermediate School was approached by an unknown woman earlier this morning. 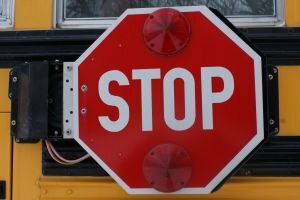 According to the district, an adult female approached a female student as she was getting off of a mini-bus and asked her several personal questions, including her name, address, and teacher’s name. The woman is described as blonde and having worn a red top; she did not make physical contact with the child and is not known to have confronted any other children. The incident occurred in the side parking lot where other mini buses and parents were also dropping off their children before school started. After the student reported the incident, the Suffolk County Police Department was contacted and is presently engaged in an investigation. To help parents and students stay safe, Commack School District has assembled a Safety Tips & Stranger Incident Page. As more details and information become available, we will continue to update this story. Subject: LongIsland.com - Your Name sent you Article details of "Safety Alert: Commack Student Approached by Unknown Woman Outside School"